Canon is one of the two major DSLR manufacturers today along with Nikon. The Rebel series brings up fond memories, as these are the first DSLR cameras for photographers all over the world. DSLR stands for Digital Single Lens Reflex. DSLRs were the first iteration after film SLR cameras and remain incredibly popular today. 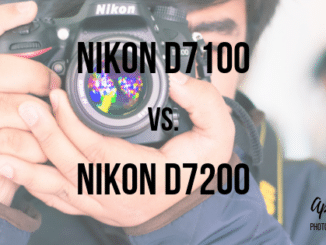 The bulky DSLR is now iconic for “professional” even though slimmer point and shoots and mirrorless cameras often have comparable image quality. The Canon Rebel T5 and the Canon Rebel T5i cater to the entry-level niche of the DSLR market. They’re meant to create excellent images while remaining affordable enough to soothe the doubts of a new photographer’s wallet. They may not have fun features like dozens of autofocus points or 4K video but paired with the right lens they’ll consistently produce great images. There’s a dizzying amount of specifications and jargon involved when it comes to DSLR camera shopping. Assuming you’re sold on an entry-level DSLR camera let’s cut to the basics. What Should I Look for When I Go DSLR Shopping? Both the t5 and t5i use an APS-C sized sensor. These sensors are large enough to give good low light performance and depth of field control while still keeping the camera body and lens prices low. We generally want as large a sensor as we can afford, but at this price range, there are very few full frame sensor cameras available. The vast majority will be APS-C or smaller. But sensor size isn’t everything. Micro 4/3rds is a very competitive format, and 1” cameras continue to improve. But since we’re comparing these two Canon models, let’s stick with APS-C sensors for now. Both cameras have nine autofocus points. This is a fairly low number of autofocus points, even for an entry-level DSLR. The Nikon D3400 brings 11 AF points, for example, and many entry-level mirrorless cameras go even further. Phase Detection uses paired sensors to detect the differences in light reaching them from the subject. The lens can then be adjusted to focus properly. It is faster in good lighting than contrast detection, which the other type of DSLR cameras make the most use of. But it’s often less accurate overall. Nine autofocus points let us select targets that are fairly large, like faces and people but it may be harder to select individual features such as the eye of a subject using a much shallower depth of field. Think of more autofocus points as using a finer brush while painting. I can target much smaller areas with more autofocus points. And the autofocus tracking works much more smoothly with additional points. 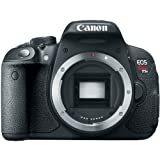 The Canon t5/t5i system is designed to give users an entry-level experience of DSLR shooting. But the body is so basic that they don’t expect users to buy expensive lenses and stick with the rather limited focusing options, which is a good assumption. As entry-level DSLR cameras the Canon t5 and t5i are fairly typical in terms of their base statistics. APS-C sensors are the most common size for entry level DSLR cameras. The megapixel count is lower than the average of 24 megapixels, but still entirely acceptable. But consumers often think that “more is always better” when it comes to resolution and that’s not always the case. There are quite a few good reasons why you don’t need to chase after more and more can even be actively damaging to your photography. If these don’t apply to me all the time, then there’s no reason I need to spring for anything beyond 24 megapixels. Even the 18 megapixels of these two cameras are of no concern to me. 18 still gives me plenty of room for some image cropping while keeping my photos sharp enough to look good on a computer screen. This is an important consideration. If you’re a beginner DSLR user, you may not be aware of what a reasonable price may be. As it turns out the Canon t5 and t5i are quite reasonably priced now that they’re slightly older bodies. They both can be found for less than their trending MSRPs, and that even includes a kit lens. Nearly all DSLRs, mirrorless, and many point and shoots provide RAW photography, but it’s good to be sure. Most beginner photographers are well used to shooting in JPEG format. But JPEG is a compressed file format which means image data is discarded to keep the size of the file as small as possible. RAW contains all of the camera’s original image data. RAW files are much larger as a result; 20-40 megabytes is fairly common. The more resolution the camera sensor has, the larger the RAW files get. But if I want to do image edits using computer software RAW files are much better to work with. The JPEG conversion engines of these programs are often cleaner than the in-camera versions. Shoot RAW whenever possible. But if I’m looking for quick files that I don’t want to do a lot of edits on or I want to save SD card space JPEG mode is still fine. A handy feature the t5 and t5i share is the ability to shoot both JPEG + RAW at the same time. As the more expensive camera, we can easily find several advantages to using the Canon Rebel T5i. For example, the LCD screen of the t5i comes with some upgrades. For starters, the resolution is much higher. A total resolution of 1,040,000 pixels is much more in line with modern day cameras compared to the t5. With only 460,000 pixels I can see a noticeable degradation in the quality of the LCD image presented. While it doesn’t affect the photos or video, it certainly is less pleasing to work with. It can also be difficult to gauge how well a shot came out while using a low-resolution LCD panel. Photographers who need creative composition angles will love that the LCD of the t5i is also fully articulating. It can rotate outwards and point up or down. If I want to take a selfie with my DSLR, it’s entirely possible with the panel rotated properly. Shooting over obstacles is also that much easier. The LCD panel of the t5 is fixed and can’t be moved for better viewing. The t5i’s LCD is also a touch screen for easier menu navigation, autofocus point selection, and even firing of the shutter. Once you’ve used a touchscreen menu, it’s hard to return to a basic one. The continuous drive speed is slightly boosted on the t5i, making it a better choice if I decide to shoot action scenes. Faster continuous drive speeds let me take more images per second and then select which ones I like best. Having a flash sync port is handy if I want to work with lighting kits, but the t5i really is an entry-level DSLR. I’d almost certainly have upgraded my body by the time I’m ready to work with studio lighting. The mic port is a much better value because in-body mics tend to be much worse in quality compared to a dedicated mic attached to the camera body. If I do a lot of videography and audio quality is especially important to me, then the t5i is definitely my go-to camera. The built-in mic is also improved because it records in stereo sound rather than mono. Stereo audio recordings have multiple audio channels and give the recorded sound a sense of place. Mono recordings can sound rather one-dimensional and flat in comparison. Max ISO (light sensitivity) is also boosted on the t5i, but maximum ISO is rarely a place I want to be shooting from in the first place. 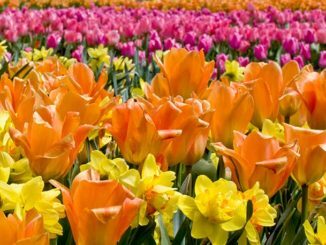 Some of the modern full-frame cameras, like the Sony a7 series and Nikon D5, have ISO 12,800+ values that are quite useable even for professional photography. The larger full frame sensors allow for greater light collection zones. Modern processors do a better job at filtering out signals that would normally be the source of significant image noise. But 4-5 years is a lifetime in the digital photography world. These ISO values are too extreme to create good looking images. The T5i uses a DIGIC 5 processor. This later generation processor is faster than the DIGIC 4 of the t5 and improves the continuous shooting speed as well as ISO performance, autofocus tracking, and image buffering. Lastly, while no built-in GPS connectivity is included, the t5i can be paired with the GPE2 unit to allow it to receive those signals. Using GPS metadata, I can tag my photos and videos with location information such as elevation, time taken, and the exact point on the earth’s surface. Mapping software, as well as websites like Flickr, can display this information on interactive maps. Photographers who spend lots of time in the outdoors will get a lot of mileage out of the GPE2 unit. Given that the t5i is such a sweeping upgrade over the Canon Rebel T5 it’s a bit difficult to pick out true advantages for the older camera. The price would have to be the main one. If I’m a truly budget-oriented new photographer, then being able to save $200 or more over the t5i is an attractive notion. I’d also be getting the same size and resolution sensor as the t5i. The t5i has more small features that improve the shooting experience. But it’s not truly better in terms of image quality. Both cameras will take great photos. My lens choice will determine how they turn out much more than my camera body will. Unfortunately, the t5 uses an older generation DIGIC 4 processor that gives it diminished performance in autofocus tracking, continuous shooting speed, and RAW image buffering. The t5i is slightly faster but not incredibly so. One major point for the t5 is that the battery life is much better on the t5. The t5i can only take around 440 shots versus 500 shots per charge for the t5. This is a nearly 20% increase in stamina for photography and video. The number of shots on either model Is still somewhat low for a DSLR camera but typical for entry-level Canon models like these. Nikon DSLRs can reach up to 1200 shots per charge. The t5 also weighs about 100g less. 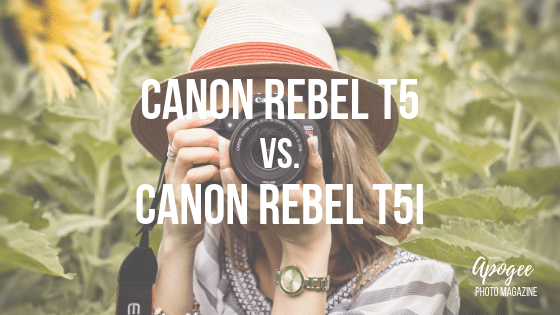 Both cameras are fairly light for DSLR cameras but if weight matters the t5 is the best bet. Both are still relatively bulky despite being lightweight, with deep, heavy battery grips as befitting a Canon DSLR. Neither one readily stows away into a pocket or carrying bag. They’re meant to sit around your neck or be in hand, ready for use. Like most DSLR cameras these two Canon models have a large Mode Dial right on top of the body to the right of the flash unit. The Mode Dial controls the shooting modes of the camera. It’s well worth your time to crack open the manual and familiarize yourself with each of these settings. The ones you’ll want to get to know first are the A+, M, Av, Tv, and P modes. A+ is the Automatic mode of the camera. If you want to point and shoot without much fuss, you can click over to this setting. Automatic mode means the camera chooses the proper ISO, shutter speed, and aperture for the scene in question. These are the foundations for the Exposure Triangle, which is crucial to understanding photography. While nearly all photographers start with Auto, you’ll eventually move onto the others. M is Manual mode. Sometimes people pretend Manual is where professionals keep the dial, but the other modes are still very useful. Manual control lets you set the aperture, ISO, and shutter speed even if the camera’s software would disagree. Av is Aperture Priority mode. I can control the aperture while the camera controls the rest. Everything about the Exposure Triangle is about controlling how much light strikes the camera’s sensor. Aperture is useful because it also affects depth of field. If you’ve seen a portrait where the subject was in sharp focus and the background blurred, you were looking at an image with a narrow depth of field. Using Aperture Priority mode, I can select a low f/number to create that same effect. But it does depend on my lens. The kit lenses of the t5 and t5i only open as wide as f/3.5 which is not particularly wide. You won’t be able to get portrait-level depths of field with these lenses. But the fun part of owning an interchangeable lens camera is that you can buy specialty lenses that allow these effects. Budget prime lenses like the Canon f/1.8 50mm give you a nice, shallow depth of field at a bargain price! Tv is Shutter Priority mode. Tv lets me set the shutter speed value while the camera controls the rest. Controlling the shutter speed allows me to control blur caused by subject motion in my image. If I’m shooting fast moving subjects, I can use a slower shutter speed to give the photo an impression of motion. And if I want to freeze the action, then a fast shutter speed freezes the action instead. Lastly, there’s Program mode. Here you choose the ISO value or white balance while the camera selects the shutter speed and aperture. But I can still change the settings the camera chooses if I wish. I can also decide to raise or lower the flash. The other modes mostly involve specific scenes and use easily understood graphics for quick navigation. The face is Portrait Mode; the camera will select the best settings to ensure your image has lifelike skin tones and a shallow depth of field around the face. The mountain and cloud icon is for landscape mode. In order to get all of a landscape scene in sharp focus, the camera will select a narrow aperture that will create a wide depth of field. Next is the flower icon for Macro Mode. The camera will preset to take images of up-close subjects using as narrow a depth of field as possible to isolate it. Some of the other Rebel series include Sports, Night Portrait, and mode. But the t5 and t5i provide a nice introduction to the Mode options of DSLR cameras. 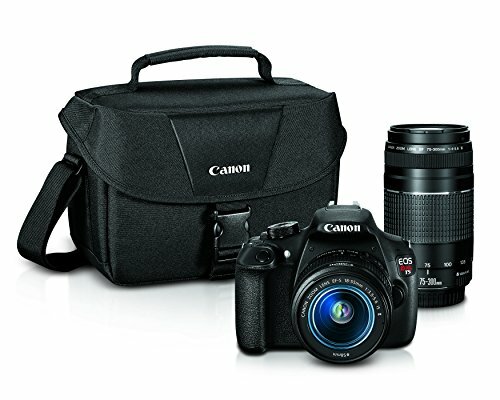 Both cameras are strong contenders for the title of “Best Entry Level Canon DSLR.” The sensors have great innate image quality, and the bodies are designed to be intuitive and easily navigated while providing near-professional level photography. Intermediate level photographers will quickly outgrow the t5 and t5i, but these are fantastic first cameras for beginner photographers or those who have outgrown point and shoots. It really does come down to the price you get for either one. The Canon Rebel T5i has a few more tricks but is not so much more advanced than the t5 that it’s the obviously better camera. The Canon Rebel T5 even has better battery life and is noticeably lighter. There are a few features that would be nice to have that can be found in other entry-level DSLR and mirrorless cameras. Neither the t5 or t5i comes with built-in image stabilization. Some intermediate level cameras that only cost a few hundred more dollars have stabilized sensors. This means you can prevent motion blur from shooting handheld no matter which lens you’re using. And this often pairs with the image stabilization elements that the lenses come with. The molded plastic construction feels sturdy but slightly cheap compared to the metal and plastic composite bodies of the Canon Rebel SL series. And even more so compared to the full magnesium alloyed bodies used with many of the intermediate and advanced tier Canon cameras. But again, these two are meant to get your feet wet in the world of photography. While these Canons have significant competition from the Nikon D3300 and D3400, they remain very competitive offerings. And Canon as a brand is one of the best in terms of building a lens collection around. The selection of available lenses is massive, with 299 lenses natively available for both the t5 and 5i. You really can’t go wrong with either camera!